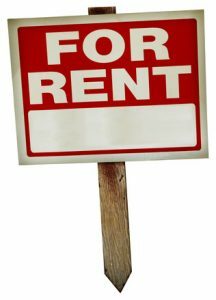 I need to find a landlord that accepts section 8 vouchers – where do I look? This is a question I get asked repeatedly on this site. Where is the best place to find a listing of available Section 8 housing? Where’s the best place to find Section 8 Apartments for rent? The quick answer is there is no easy way to get a COMPLETE listing of available housing in your area. The best overall place I’ve found to have the most listings is http://www.gosection8.com It is a very user-friendly site. You just put in your zip code and it pulls up a listing of available housing and filters out which ones will accept Section 8 vouchers. but this site also has limitations as not everything is up to date. You can also go the HUD website in your state. They may have different listings from the HA. Remember generally you have about 90 days from issuance of your voucher to get a lease. However generally the housing authority may work with you to extend it in 60 day increments. Marilyn Inman is looking for a sessiin 8house.Would love to try to fill out a application.Would love to have one of those houses.A two bedroom houde.I bet they are real nice.Thank u so very much,and have a blessed day.Godbless. If your new household income is above the limit, then yes, you will no longer qualify for section 8 benefits. I am currently applying for sdi can I apply now or do I have to wait until I get approved? Thank you!